Καλοτοποθετημένο στη περιήγηση σε αξιοθέατα, οικογενειακή διασκέδαση, εστιατόρια περιοχή της Γιλάν πόλης, το Deer North inn είναι το κατάλληλο μέρος για να χαλαρώσετε από τις πολυάσχολες μέρες σας. Το κέντρο της πόλης είναι μόνο 0.30 KM μακριά και μπορείτε να φτάσετε στο αεροδρόμιο μέσα σε 85 λεπτά. Με την βολική του τοποθεσία, το ξενοδοχείο προσφέρει εύκολη πρόσβαση στους προορισμούς της πόλης που πρέπει οπωσδήποτε να δείτε. Οι εγκαταστάσεις και οι υπηρεσίες που παρέχει το Deer North inn διασφαλίζουν την ευχάριστη διαμονή των πελατών. Για να ονομάσουμε μόνο λίγες από τις εγκαταστάσεις του ξενοδοχείου, υπάρχουν τα δωρεάν WiFi σε όλα τα δωμάτια, ημερήσιος καθαρισμός, ιδιωτικό τσεκ ιν/τσεκ άουτ, ασύρματη σύνδεση Wi-Fi σε δημόσιους χώρους, ενοικίαση αυτοκινήτου. 4 δωμάτια μοιρασμένα σε 5 ορόφους παρέχουν ένα ζεστό και ευχάριστο σπιτικό μακριά από το δικό σας. Σε επιλεγμένα δωμάτια θα βρείτε μοντέρνες ανέσεις όπως επίπεδη τηλεόραση, προϊόντα καθαρισμού, δωρεάν τσάι, λευκά είδη, παντόφλες. Εξάλλου, το ξενοδοχείο διοργανώνει πολλά ψυχαγωγικά δρώμενα έτσι ώστε να έχετε πολλά πράγματα να κάνετε κατά τη διαμονή σας. Το Deer North inn είναι ένας ιδανικός τόπος για να μείνετε αν ψάχνετε για γοητεία, άνεση και ευκολία στη Γιλάν. 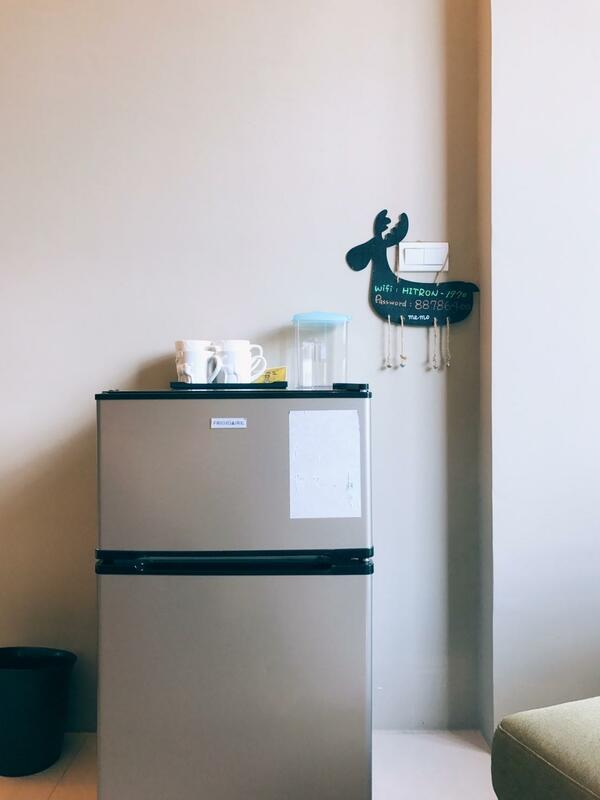 Pros : the room is clean and new + a room on each floor so got to enjoy good privacy + located just a minute away from the LuoDong Night Market ; Cons : 5-8 minutes walk to train station and the road to station is not well paved. Hence was a challenge to drag the luggage + the entrance is via the back lane hence going back at night may not be safe for single female traveler overall good experience and I will give recommendation! No signage for the hotel, we found for 10 minutes. Finally, asked the shop and tell us, we were just downstair... Closed to the night market (2 minutes) and Train Station (5 minutes) will be back with some more friends next time! Pro - friendly and prompt service, rather close proximity to the train station n the famous night market Con- could have done better in informing us that all transportation close as we were stranded at luodong train station in the early morning after checkout. Room is new and big , everything is new Toilet is big and clean Aircon is cold Just 3 mins walk to Luo Dong night market I like the big french window Con: - We found many long hairs on the floor, obviously the cleaner never clean the floor - the curtain and window edge is full of dust - The lady whom pass us the key left us a mobile number and said if we need anything can call her. But she sound impatient when receive our call. When we ask her to come up to check the floor (the hairs), she seems like rushing of time just want to leave our place asap. We will come back again if the management increase the cleanliness and the staff attitude. Spacious and awesome stay. Walk-able to train station. Clean! Very spacious, clean and cosy room. Within minutes walk to Luodong station and Taiwan tour bus (台湾好行)bus station. I couldn't know why hotel in Taiwan can't check in early, must after 3pm but check out must 11am. If you late then will charge you extra rate, compare other country that is not good services for tourist. Location is great, 5 mins to Train station and 1 min to night market. Room is spacious and clean. Disappointed having no balcony for delux room booked. Staff explained only 1 delux room is equipped with balcony at the hotel! No need to book delux room at all since it is same as a standard room without balcony!!! Location opposite a big wet market along a very narrow lane.Surrounding area looks dirty. Entrance to our rooms by door in the back lane. Feel insecure. No breakfast provided. Only plus point is that the room is spacious and clean. Good location to night market and wet market. The rooms are very clean, comes with washing machine. Do not check in too late though, the main lobby might not be open as the owner are not around most of the time. The bathroom drainage are not good during day time, and not much countertop space in the room as well. Weird furniture arrangement. But the overall stay is good and comfortable. 15 mins walk fr train station but difficult to find, look out for the massage shop. Room big,clean. No facility, like an apartment, only for sleep. 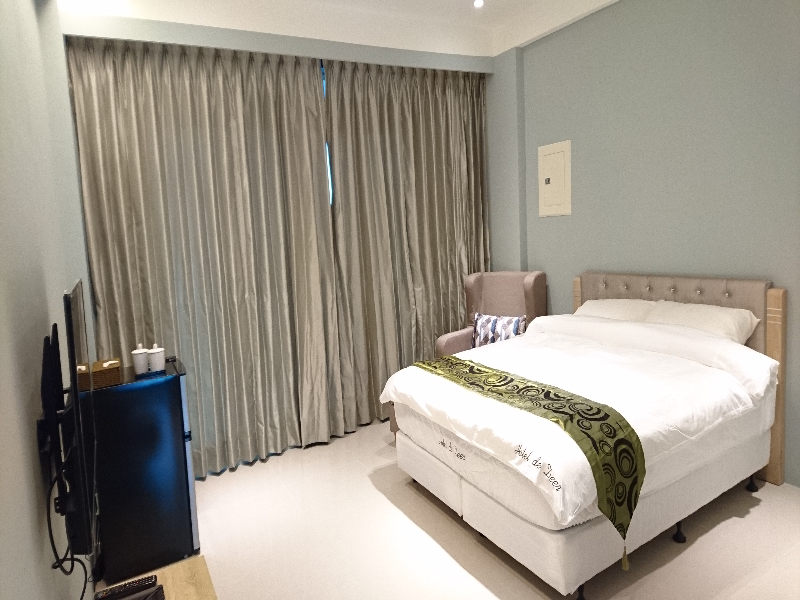 Location very near to night market (5-10mins walk). The Facilities can be cleaner, especially the bed sheets and the air conditioner. new apartment type hotel. 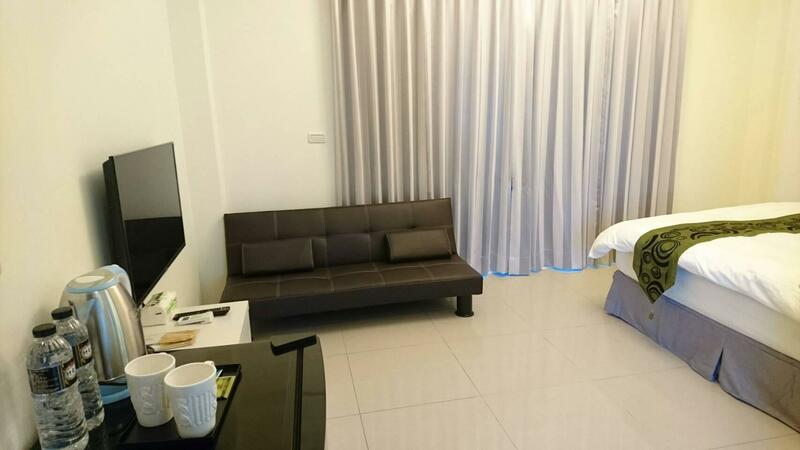 very clean and big.... walking distance to Luodong Night market and Train Station. Yummy food around too. friendly and helpful staff... recommended! It's really nice although it is hard to find the place. Everything was new and the room was extremely large. I recommended to all my family! Σιδηροδρομικός Σταθμός Luodong στα 0.32 χλμ.